London – 18th April, 2017. Just weeks after announcing a 26-date summer tour of North America, Queen + Adam Lambert today revealed further live plans for 2017 which will now see the band return to Europe later this year for a series of 24 dates including 12 arena concerts in the UK and Ireland. The tour will showcase a spectacular new stage production and a set list that the band hints will provide some surprises. Queen + Adam Lambert’s 11-city UK and Ireland tour will kick off in Dublin on 25th November. They perform in Belfast in Northern Ireland the following day, then reach mainland Britain on 28th November to play Liverpool’s Echo Arena. More dates follow in Birmingham, Newcastle, Glasgow, Nottingham, Leeds, Sheffield and Manchester, climaxing with two huge London shows at the O2 Arena on 12thDecember and The SSE Arena, Wembley, on 15th December. Tickets will be on general sale from Friday 21st April, with pre-sales starting two days earlier, Wednesday 19th April. The tour is presented by Phil McIntyre Entertainments. These shows will mark the band’s first full British tour in almost three years, having last performed across the UK in January 2015 when they played 10 sold out shows. Their only UK appearance in 2016 was a one-off headlining set at the closing night of the Isle of Wight Festival on Sunday 12th June, part of a 15-date European summer festival tour. Isle of Wight festival organizer John Giddings credited the band with “the greatest show we have ever had”. Ticketmaster pre-sale from Thursday 20th April across Ticketmaster UK site. Ticket purchases limited to six per person. 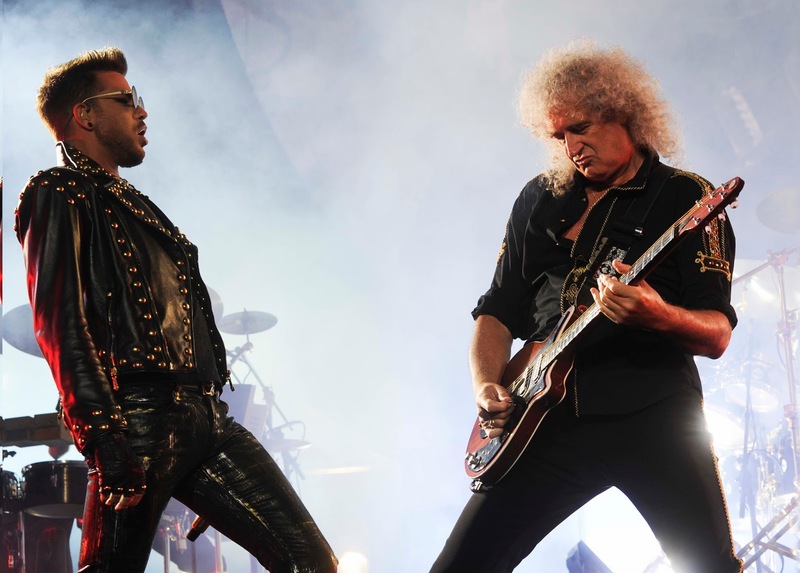 2015 proved a logistically challenging year for the band with 24 more sold-out dates in 10 countries right across Europe, a return visit for Queen, this time with Adam, to South America, to headline Brazil’s Rock in Rio, and again perform in Argentina, as well playing Chile. Summer 2016 saw Q + AL headline 15 more European festival shows beginning with Portugal’s Rock in Rio Lisbon, where they played to 74,000 people on opening night, followed by an extensive arena tour across Asia including three nights at Tokyo’s famed Budokan.